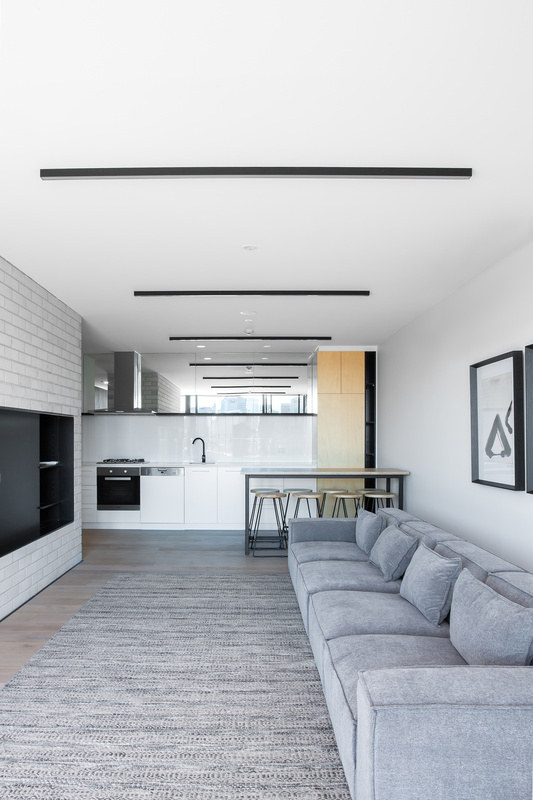 33 Coventry Street is a 20 level high quality residential development. 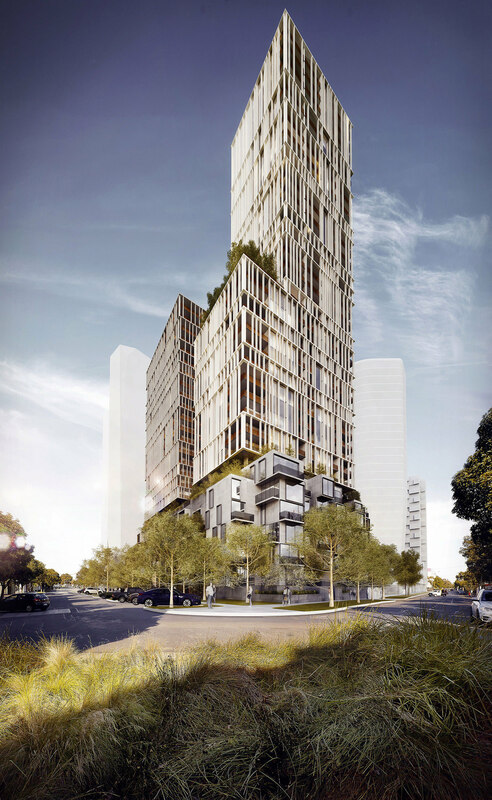 Neighbouring some of the city’s most prominent attraction sites, the design has taken great consideration towards its formal architectural composition and immersion in to the existing neighbourhood character. 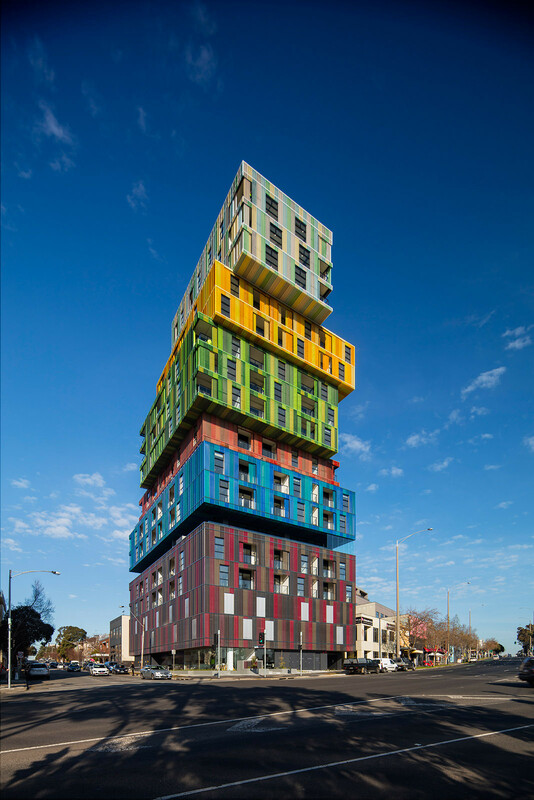 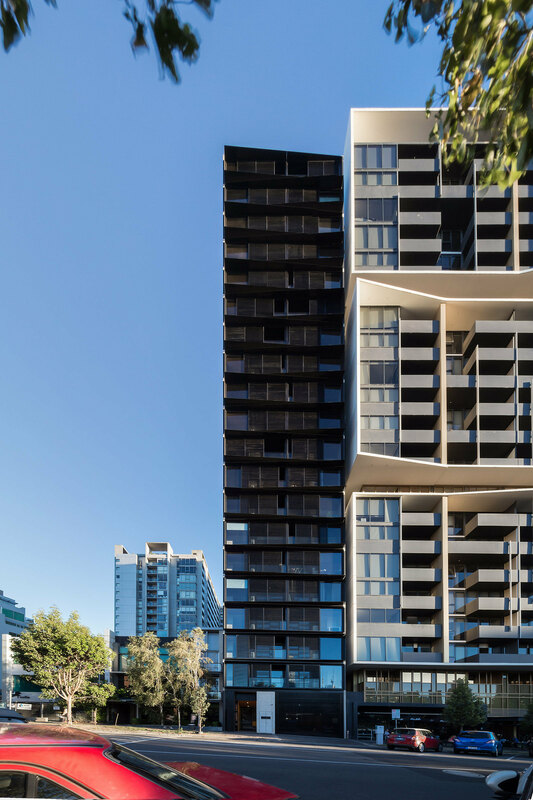 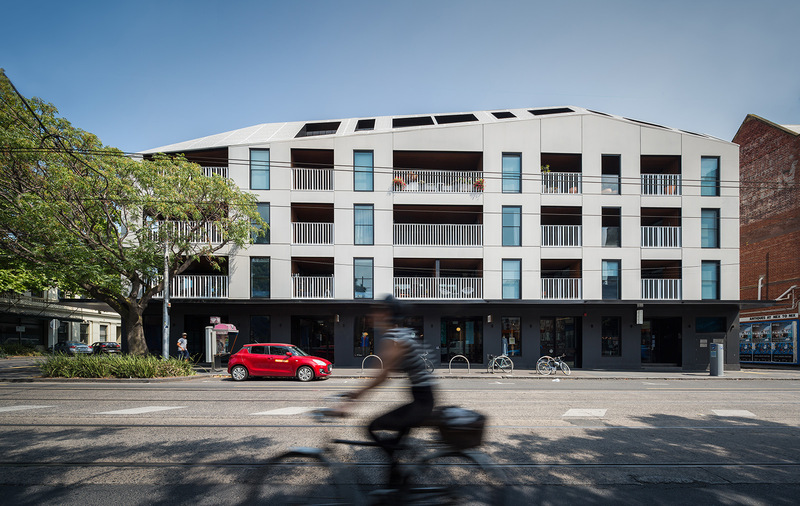 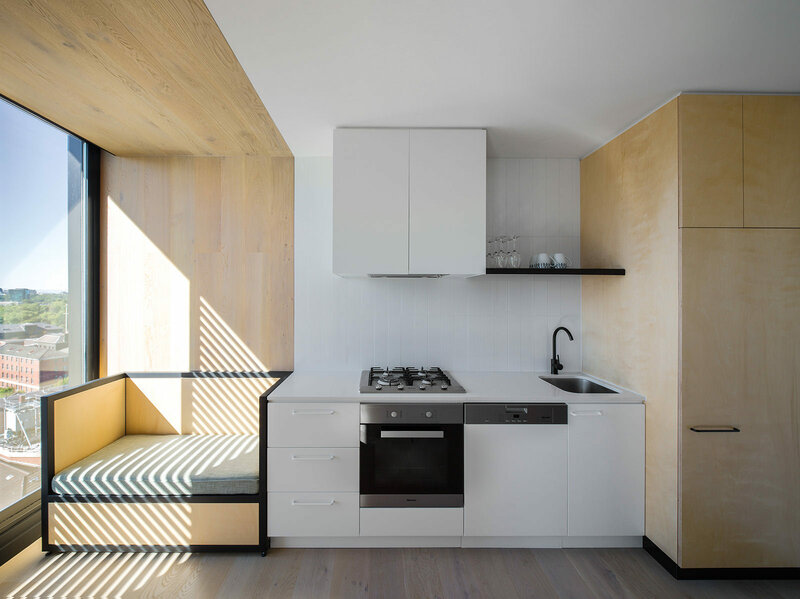 The building’s narrow form sits on a 320sqm site along a north-south axis providing a total of 78 apartments and 46 basement car park spaces. 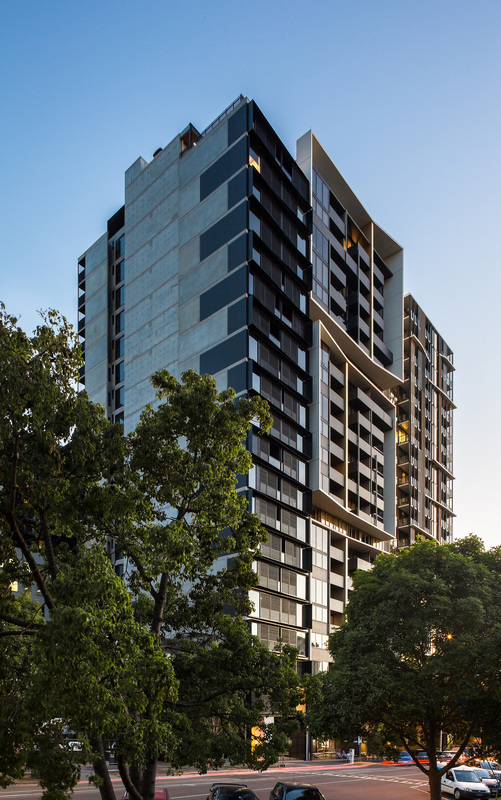 The lower levels provide for one and two bedroom apartments, whilst the upper levels offer either one or three bedroom apartments, with a 3 bedroom penthouse and roof top entertaining space at the very top. 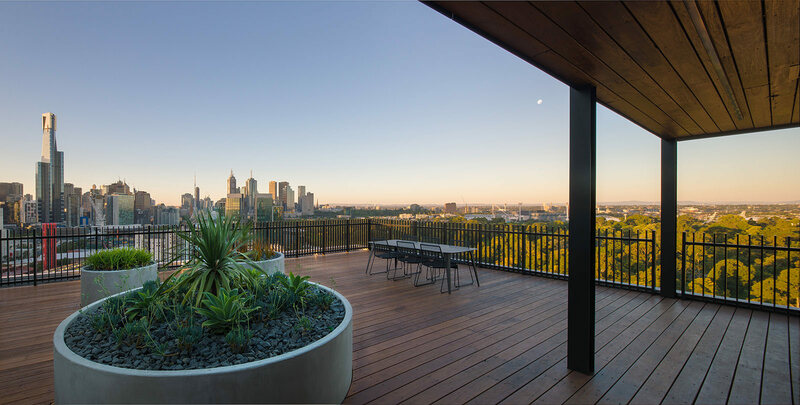 All apartments have access to individual decks. 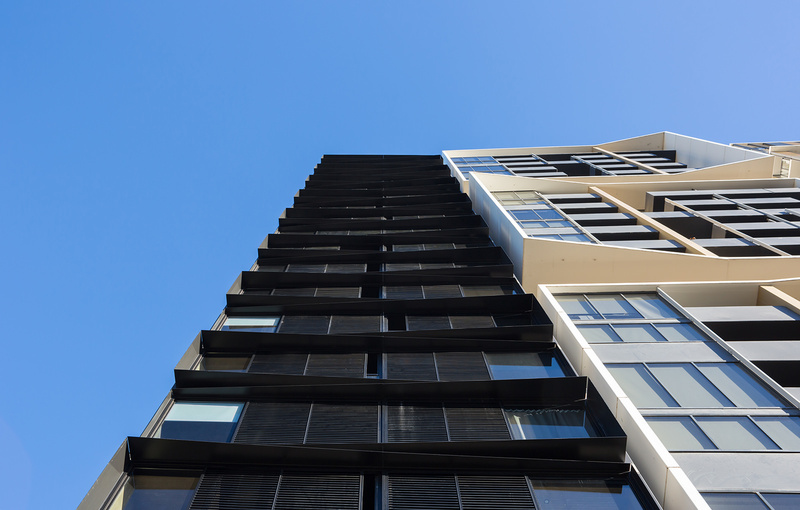 At the southern end, the building carefully steps back to allow for maximum filtration of sunlight. 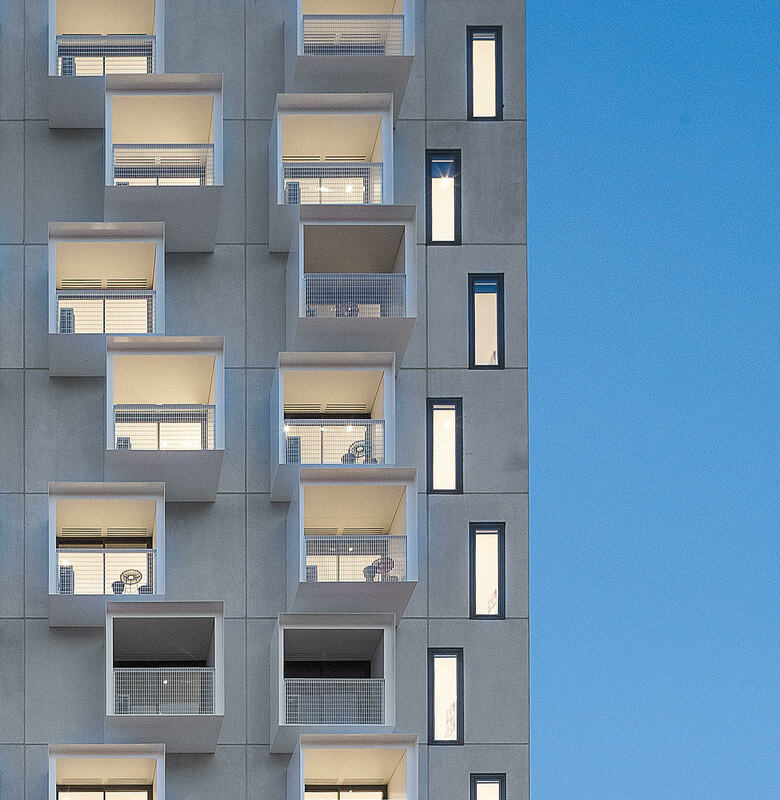 The steel canopy along Coventry Street angles asymmetrically off the building’s precast concrete form, creating a subtle ripple along the building’s northern façade whilst articulating the finer grain of the apartments.